When the best of the best face off in the next FIFA World Cup, they will do so on the premium turfgrass known as Platinum TE™ Paspalum. After years of comprehensive testing, the Supreme Committee for Delivery and Legacy selected Platinum TE as the playing surface for all stadiums and training sites hosting the November 2022 event in Qatar. 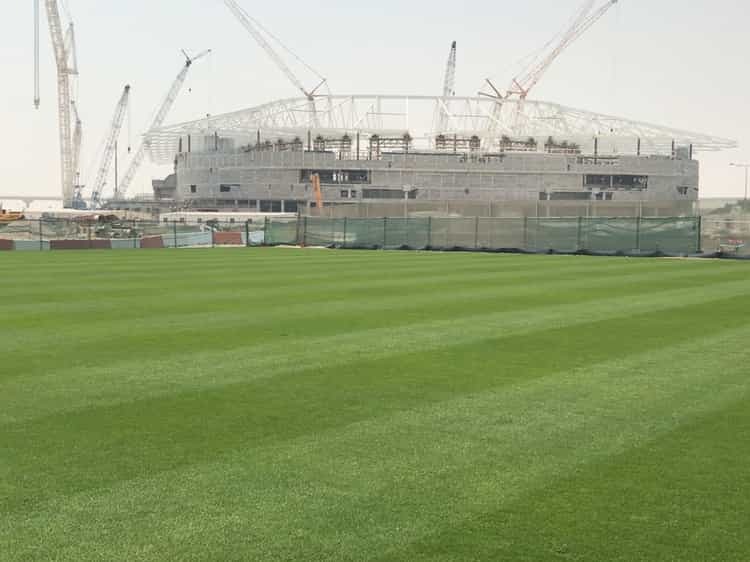 In a joint venture, Aspire Sports Turf of Qatar and international sports turf consulting giant STRI conducted extensive research on which to base their selection. Varieties of seashore paspalum, bermudagrass, and zoysia turfgrasses were tested at multiple sites. Platinum TE Paspalum proved to be the most durable and shade tolerant of the turfgrasses tested, outperforming the other varieties in recovery as well. Establishment and grow-in from stolons were also quicker with the Platinum TE. Grassing has begun at multiple stadiums and training facilities. To ensure genetic purity and the highest quality, the Platinum TE Paspalum being utilized is licensed and certified plant material from global turfgrass supplier Atlas Turf International. Grassing will continue as the remaining facilities are completed over the next two years. Introduced in 2007 by noted plant scientist Dr. Ron R. Duncan, Platinum TE Paspalum features characteristics sought out for championship-quality sporting facilities including athletic fields and golf courses. In addition to the benefits highlighted in the research results, Platinum TE exhibits exceptional density, disease resistance, and superior salt tolerance. With dark green color and superior striping, Platinum TE delivers strikingly attractive fields. Platinum TE is the turfgrass of choice at over 150 projects around the world including soccer, baseball, rugby, and American football facilities and golf courses at every level of play.